Win 2 Full Kilt Hire worth £65 each! 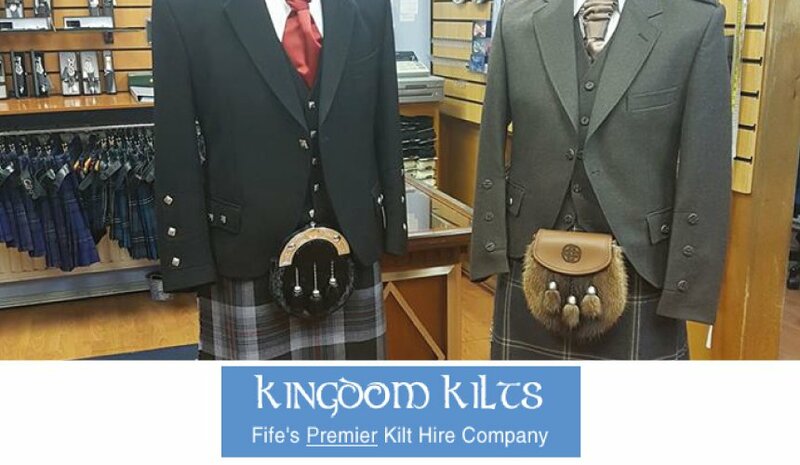 Kingdom Kilts source thier kilts and jackets from the best manufacturers available. The kilts are all made with the finest 100% wool cloth and made here in Scotland by the leading kilt makers, ensuring the quality and finish on your kilt is of the highest standard. Thier bespoke tailored jackets are also all made here in Scotland by one of the oldest and established tailors in the trade and they use only the finest cloth to ensure the finished garment is of the highest standard. The outfit to wear for a formal event where you're dressing to impress, the Prince Charlie is the 'tuxedo' of traditional Scottish highlandwear. Our hire packages include every component of the outfit, so all you need to do is choose the tartan. The Modern Crail Outfit is a contemporary classic, blending high street fashion with traditional highland wear.